We are loving this incredible fall Hornsby House Inn Wedding. Gray and Julie are a power couple and this wedding was a dream! When Gray & Julie stood before their friends & family the preacher said one thing that I think everyone could agree on. He said that they were intense. It is a waste of time. There are too many mediocre things life. LOVE should not be one of them. Whatever they are passionate about they give their whole heart & soul to. This includes each other, their business ventures, and throwing the most glamorous wedding Yorktown has ever seen! Their wedding took place at the Hornsby House Inn in Yorktown VA. This house has been in the Bowditch family for generations. Built with love and family in mind it has housed numerous couples, families, and friends. It only made sense to Julie & Gray to celebrate with their loved ones in the place where Gray grew up and has so many fond memories. With the help of family & friends Julie designed and executed her dream wedding. With florals cascading the tables and a beautiful golden arch for their ceremony it was something out of a fairytale. The Amnesia Roses throughout the day were such the perfect touch! The girls were in gold & sequin gowns as if they stepped off the runway. And Julie’s dress custom designed was stunning. Luke & I just want to say thank-you for letting us be apart of your big day! You guys are one of a kind and we are so thrilled to share with you some of our favorites! Thank-You to This Incredible Team of Vendors! Flowers: Mother of the Bride & Rooms, Blooms, and More. Click Here to see their Engagement Party! 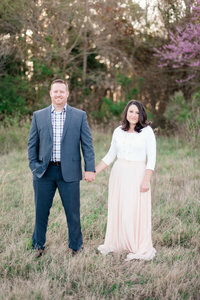 You can see their Yorktown Engagement session HERE! More one of a kind weddings below.